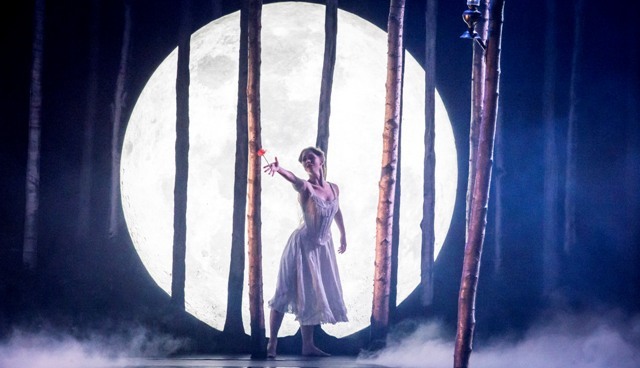 Matthew Bourne adds his inimitable dance style to the fairy tale of Sleeping Beauty. 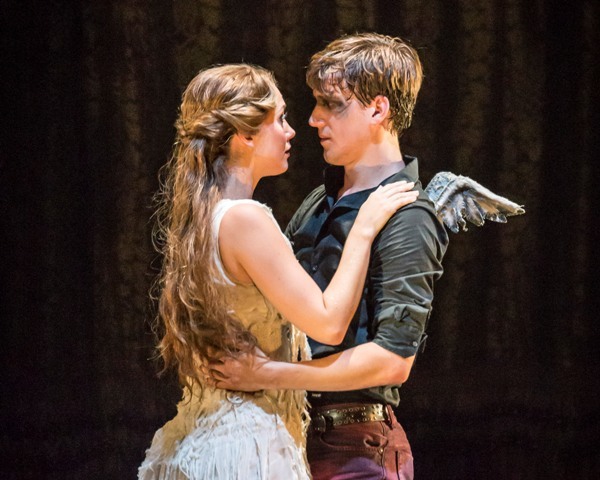 Along with his panache and exquisite detail, this production has a very gothic feel to the romantic tale. The dance show is performed at Birmingham Hippodrome from Tuesday February 9 to Saturday February 13 and is the first revival of Bourne's Sleeping Beauty since it was last performed at the Hippodrome in 2013. The plot isn't the same as the traditional Sleeping Beauty children's story although it still revolves around the age-old tale of good versus evil. Instead, it is a supernatural love story that even the passage of time itself cannot hinder. Bourne's new scenario introduces several new characters in an imaginary kingdom ruled over by King Benedict and Queen Eleanor. Princess Aurora's romantic interest is not a prince, but the royal gamekeeper, Leo instead. Meanwhile, her Fairy Godparents are characterised by their names - Ardor, Hibernia, Autumnus, Feral and Tantrum. Sleeping Beauty with a difference. Aurora played by Ashley Shaw with her love interest Leo, played by Dominic North. Representing the central forces of good and evil are Count Lilac - aka "the King of the Fairies" - and the Dark Fairy Carabosse. Bourne has also created the character of Caradoc, the sinister but charming son of Carabosse. There's a strong cast in this production too. Returning to the central role of Aurora in this first revival is rising star Ashley Shaw, who has also danced key roles in Bourne's other productions of The Car Man, Edward Scissorhands, Nutcracker! and Cinderella. The leading role of Leo will once again be played by Bromsgrove born dancer Chris Trenfield and Dominic North, who has appeared in more New Adventures productions than any other dancer, and was nominated as Outstanding Male Dancer at The National Dance Awards for his performance as Edward Scissorhands. 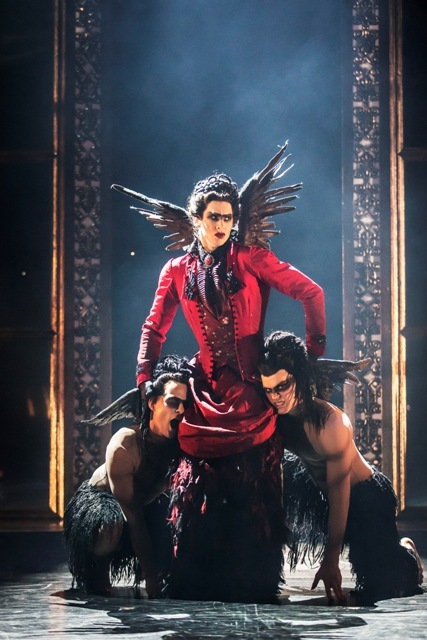 A strong cast of dancers includes Tom Clark, pictured here as Carabosse. Famed choreographer and director Bourne, who recently received a knighthood in the New Year's Honours List, created this dance production for New Adventures' 25th birthday in 2012. The show became the fastest selling production in the company's history. As part of Birmingham Hippodrome's continuing relationship with Matthew Bourne's educational team, there will be a curtain raiser performance before the show on Feb 11. This is the sixth consecutive curtain raiser the theatre has created with New Adventures, and will showcase the emerging talent of local dancers aged between 12 and 18, as well as student choreographers. Tuesday February 9 – Saturday 13 February 2016. Tickets cost £18.50-£45.00 from the Birmingham Hippodrome website or by calling 0844 338 5000.